Born in Philadelphia in 1958, Kevin Bacon’s career has seen such diversity that it’s widely believed that any current film star can be linked to him in six movies. Kevin Norwood Bacon was born on 8 July 1958 in Philadelphia. He is one of the six children of architect Edmund Norwood Bacon and elementary school teacher Ruth. They were a close-knit family. At the age of 16 in 1975, Bacon won a scholarship to the Pennsylvania Governor’s School for Arts at Bucknell University. He studied theatre as part of the five-week state-funded arts programme. The following year he moved to New York. Educated at the prestigious The Circle in The Square Theatre School, where he was the youngest student ever to appear in a production, he left home at 18 to attend the Manning Street Actor’s Theatre. In 1978, he made his screen debut in the infamous John Landis frat-boy comedy ‘Animal House’ with John Belushi. After winning an Obie for his stage work as a drug-addicted prostitute in ‘Forty Deuce’, he appeared in such movies as ‘Friday the 13th’ in 1980 and ‘Hero At Large’. Drawing upon his role in ‘Forty Deuce’, Bacon portrayed a similarly troubled character in 1982′s ‘Diner’, directed by Barry Levinson. Departing from such cutting-edge, independent fare, Bacon appeared in ‘Footloose’ in 1984, breaking into the big-time and becoming a teen icon. The actor suffered some setbacks with the films that followed, with flops such as ‘White Water Summer’, ‘Quicksilver’ and ‘Lemon Sky’. On the latter film he met Kyra Sedgwick, whom he later married. After ‘Tremors’ in 1989 and ‘Flatliners’ in 1990, Bacon regained his feet in Oliver Stone’s ‘JFK’ in 1991. Appearing opposite Gary Oldman in ‘Murder in The First’ in 1995, he won critical plaudits for his harrowing and emaciated portrayal, before starring in ‘Apollo 13′ the same year. Bacon appeared in the ensemble piece ‘Sleepers’ with Robert De Niro and Brad Pitt, and made his directorial debut with ‘Losing Chase’ in 1996. Most recently seen in the steamy ‘Wild Things’ in 1998, as well as ‘Mystic River’ (2003). Bacon has been devoting time to a band formed with his brother, called The Bacon Brothers, and they enjoy touring low-key venues. They have released six albums so far. He was given a star on the Hollywood Walk of Fame in 2003. Bacon has continued acting in a wide range of films despite his band including ‘Hollow Man’ (2000), ‘The Woodsman’ (2004), ‘Where The Truth Lies’ (2005), ‘Death Sentence’ (2007), ‘Frost/Nixon’ (2008) and ‘My One and Only’ in 2009. He was nominated for an Outstanding Lead Man in a Miniseries or Movie Emmy in 2009 for his part in HBO show ‘Taking Chances’ (2009). Bacon went on to win the Best Performance by an Actor in a Miniseries or a Motion Picture Made For Television Golden Globe for the same performance in 2010. Despite these awards, he is one of the best actors to have never won an Oscar, as named by the Guardian newspaper. One of his most notable roles in recent times was Sebastian Shaw in ‘X Men: First Class’ in 2011. This was followed by appearances in ‘Crazy Stupid Love’ the same year and ‘Jayne Mansfield’s Car’ in 2012. Bacon will next be seen in ‘RIPD’ in 2013. He has been happily married to actress Kyra Sedgwick since 4 September 1988 after they met on the set of Lanson Wilson’s play ‘Lemon Sky’ for CBS. They have two children together with son Travis born in 1989 and daughter Sosie in 1992. Do you want to hire Kevin Bacon? Directly request a quote. In 48 hours we can send you the availability of Kevin Bacon If you would like to book Kevin Bacon, Entertainment Booking Agency is the right place. 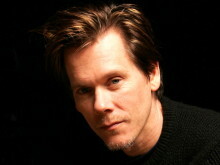 We will offer you the best price and contact the management or we directly contact Kevin Bacon. For corporate appearances or speaking engagements you can contact our agents and the will help you true the process. Tags: hire Kevin Bacon, Kevin Bacon booking, book Kevin Bacon, Kevin Bacon appearances, find more information on booking Kevin Bacon for appearances, Kevin Bacon speaking engagements, Kevin Bacon endorsements/spokesperson, Kevin Bacon appearance fees, Kevin Bacon booking agency contact info, biography of Kevin Bacon, Contact an artist booking talent agent find a speakers bureau that can book Kevin Bacon, speaker booking agency for Kevin Bacon, Kevin Bacon booking agency, Kevin Bacon booking for corporate event. EBA is one of the biggest entertainment booking agencies in the World. We book hundreds of celebrities, artist, athletes and speakers in a year. Important to know is that we are not claiming to be the management of Kevin Bacon. We are not the official agent for Kevin Bacon. Companies from around the globe book these artists and speakers true our company be course we have one of the biggest networks and we always have direct contact with the artist or the management. We help you to find the right celebrities for your corporate of private events. Please contact one of our agents to get free advice and we will help to get the world-famous artist on your party.